Sua Sponte - A Dallas Appellate Blog by Carrington Coleman: DEFENSE COUNSEL AS “SUB-AGENT” OF INSURED CLIENT? DEFENSE COUNSEL AS “SUB-AGENT” OF INSURED CLIENT? McCain v. Promise House, Inc. Citing a policy provision giving a liability insurer the right to settle a claim against its policyholder without the policyholder’s consent, the Dallas Court of Appeals enforced a Rule 11 settlement agreement signed by the policyholder’s attorney (retained by the insurer) despite the policyholder’s objection. The opinion provides a roadmap for enforcing Rule 11 agreements, while raising troubling issues about the relationships between an insured client, its insurer-retained attorney, and the insurer. Is an appointed counsel the “sub-agent” of the insured client? McCain sued Promise House, alleging that his son had been physically and sexually abused while a resident there. Promise House had liability insurance with Arch, and the policy included a “sexual or physical abuse” endorsement. That endorsement provided Arch would have the “right and duty to defend” Promise House against any suit making such allegations. So, when McCain filed suit, Promise House filed a claim with Arch, and Arch retained counsel who began defending the lawsuit for Promise House. In the same paragraph imposing the duty to defend, the policy authorized Arch to, “at [its] discretion, investigate any act of ‘sexual or physical abuse’ and settle any claim or ‘suit’ that may result.” Within a month after answering the lawsuit, the attorneys for Promise House—provided by Arch—entered into a Rule 11 settlement agreement with McCain, securing a full and final release in exchange for a payment of $400,000. About two months later, however, Promise House objected to the “proposed settlement” and took the position its attorney—the attorney provided by Arch—did not have the authority to enter into the settlement agreement on its behalf. That’s where things got interesting. Upon learning of Promise House’s position, McCain filed the Rule 11 agreement with the court, and amended his petition to assert breach-of-contract claims against both Promise House and Arch. McCain argued, among other things, that the signature of Promise House’s attorney alone made the agreement enforceable, and that Arch had both a right and a duty to accept the settlement. Promise House argued its attorney was not authorized to execute the Rule 11 agreement, and did so without Promise House’s knowledge, consent, authorization, or approval. Arch agreed the policy gave it the right to settle, but denied it was a party to any contract with McCain. The parties filed cross motions for summary judgment, and the trial court entered a take-nothing judgment against McCain. On appeal, McCain argued Promise House’s policy gave Arch the absolute right to settle all claims, and “Arch, through its assigned defense counsel, authorized and approved the settlement”that bound Arch to pay the $400,000. The Court of Appeals agreed, and reversed and rendered judgment against both Promise House and Arch. The Court’s analysis has two key components: enforcement of Rule 11 agreements and the relationships between the insurer, the insured, and defense counsel. The Court confirmed that “a written settlement agreement may be enforced even though one party withdraws consent before judgment is rendered on the agreement.” To enforce the agreement, the offended party must, as McCain did here, pursue a separate breach-of-contract claim and establish the elements of such a claim. 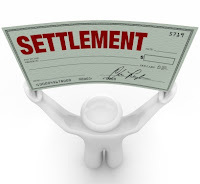 Although the agreement in this case contemplated the settlement would be “memorialized in a final settlement agreement,” the Court held it contained all the essential terms and was enforceable. The Court did not discuss whether—apart from the insurance issues—Promise House had rebutted the presumption that “an attorney retained for litigation [has] authority to enter into a settlement on behalf of a client.” City of Roanoke v. Town of Westlake, 111 S.W.3d 617, 629 (Tex. App.—Fort Worth 2003, pet. denied); see also Karle v. Innovative Direct Media, Ltd., 309 S.W.3d 762, 765 (Tex. App.—Dallas 2010, no pet.). It does not appear from the opinion that McCain had any reason to question the authority of Promise House ‘s attorney of record at the time the settlement was negotiated. The Court found the attorney’s authority to settle in the client’s insurance policy under which the lawyer was appointed: “Arch retained counsel to represent Promise House; thus Arch became Promise House’s agent, and the attorney became Promise House’s sub-agent.” To support this holding, the Court relied on language in Ranger County Mut. Ins. Co. v. Guin, 723 S.W.2d 656, 659 (Tex. 1987). The Court did not mention the Supreme Court’s later repeated characterizations of the cited language in Ranger as dicta. See State Farm Mut. Auto. Ins. Co. v. Traver, 980 S.W.2d 625, 628 (Tex. 1998) (citing American Physicians Ins. Exch. v. Garcia, 876 S.W.2d 842, 849 (Tex. 1994)). In Traver, the Supreme Court reiterated the long-standing principle that a lawyer’s sole duty is “unqualified loyalty” to the client, even when the lawyer has been appointed and is being paid by an insurer. 980 S.W.2d at 627-28 (citing Employers Cas. Co. v. Tilley, 496 S.W.2d 552, 558 (Tex. 1973)). Although the Court in McCain does not articulate how Arch became a party to the settlement contract if the only signature was by counsel for Promise House, it appears to presume the same counsel represented both the insurer and the insured. While some other jurisdictions hold an appointed defense counsel effectively has two clients (the insurer and the insured), Texas is decidedly a “one-client” state. Nevertheless, as the Court recognized, the policy granted Arch the right to settle claims in its discretion. (Disputes between Promise House and Arch remain pending in a separate lawsuit.) But as demonstrated here, exercising this right can be complicated without participation by the insured. An insured’s interference with its insurer’s right to settle could in some circumstances breach the insured’s duty to cooperate, and thus potentially undermine coverage under the policy. And because the Stowers duty is owed only to the insured, the insured’s objection to the settlement would negate the insurer’s duty to accept a reasonable settlement offer, though not its right to do so. On the other hand, no one suggests McCain did not enter into the settlement in good faith, relying on the apparent authority of the defendant’s counsel of record. And Arch, from which the attorney received instructions, unquestionably intended to fund the settlement. So, a disinterested observer might conclude the Court reached the right, “common sense” result, but left a number of thorny issues unresolved. Many, if not all, of these issues were briefed by the parties, but are not addressed in the opinion. Stay tuned for further developments.